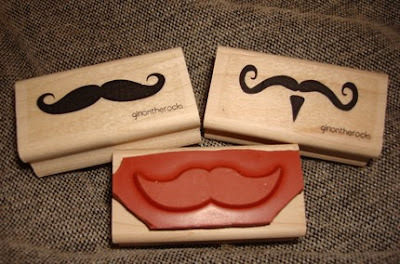 This little set of stamps makes my upper lip tickle just thinking about them! 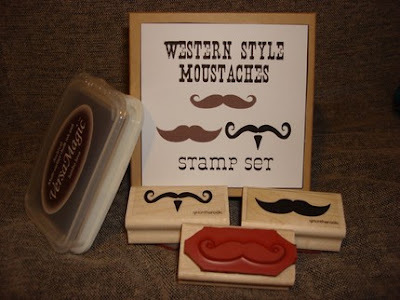 Girlontherocks (a fun store on Etsy) is selling this cheeky little 'stache kit for a tempting $21. Too steep? 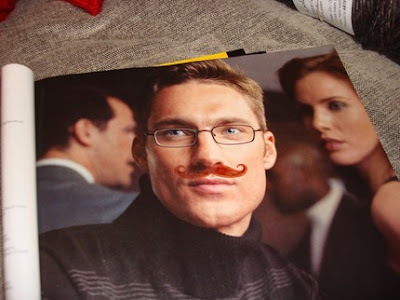 There are mustache mirrors and bottle openers for a more palatable price . . .